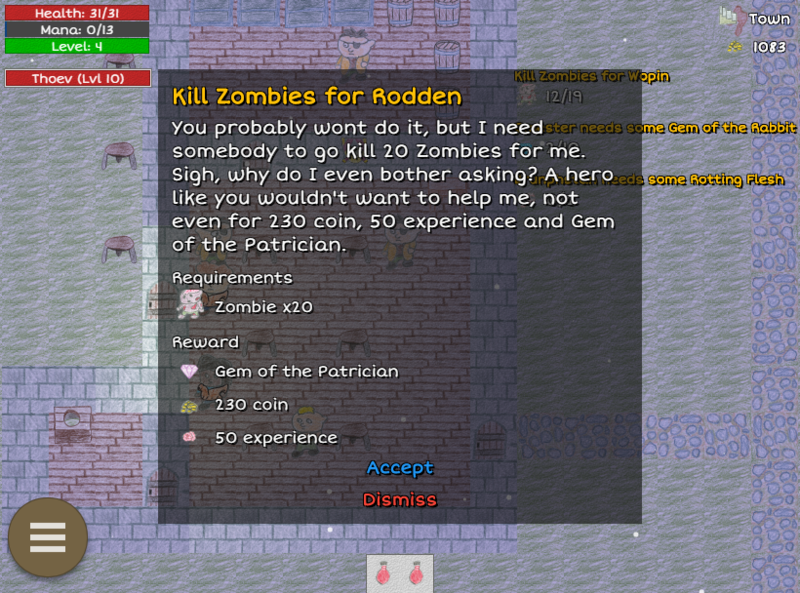 Today's v0.15.0 release of Gone Rogue adds an exciting (and long awaited) new gameplay element - Quests! NPC's in town and elsewhere throughout the dungeon will now occasionally offer you jobs to perform. There jobs range from killing monsters, delivering items, or farming for loot. The Questing feature has been a long time coming for Gone Rogue, and indeed the NPC dialog for the quest missions has been in the game file since all the way back in early 2016. The ability to accept and complete quests adds a whole new dynamic to the game, especially at the beginning, when your character is relatively weak and the game is difficult as a result. Quests give you the opportunity to start building up coin and experience earlier in the game, while also giving you something to do besides just grinding through the dungeon. The update brings a few other non-quest related changes as well. Enemies will now randomly and occasionally spawn on dungeon floors that you have already previously cleared (at a slow rate). This was added to address the off event that you accept a "Kill X number of zombies" quest, and all Zombies in the game have already been killed. Now you can simply return to the early dungeon later and find some fresh ones to dispatch. 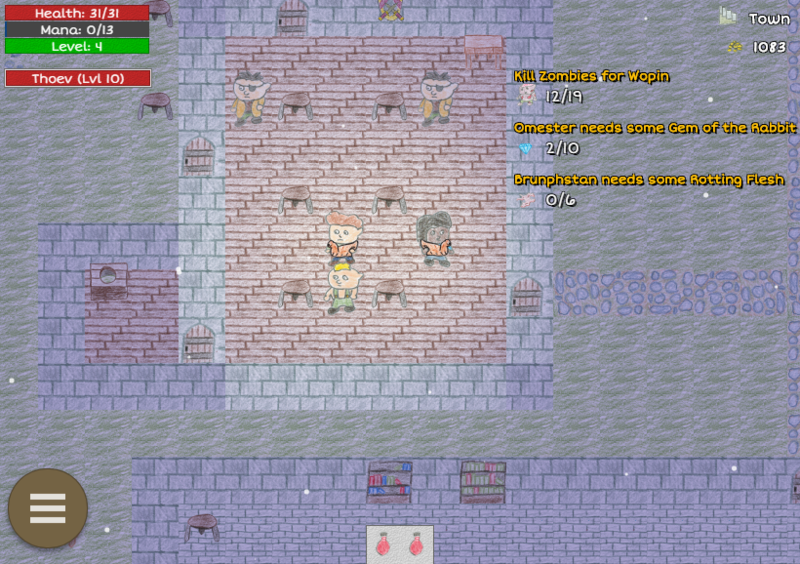 Also, the base player stats on a new game have been increased, extending the players' visible range in the dungeon, which was previously somewhat limited. I have also made some UI changes, and improved the "re-usability" of the engine in this update. Once the core Gone Rogue code is far enough along (and with quests now implemented, it is getting there), I want to take the base Gone Rogue code and create a new space-based "horror" type RPG. Like you are on a space station which gets completely taken over by aliens or zombies or something. It's just an idea at this point, but eventually it will happen.